Their straight-back pressure nature makes them useful in applications where exhaust steam is fully utilized to meet process demands. The electrical power generated in the process is consumed as per the process steam demand. Two main applications of a Back Pressure turbine. For power generation application- Used as to generate electricity by powering the generator. 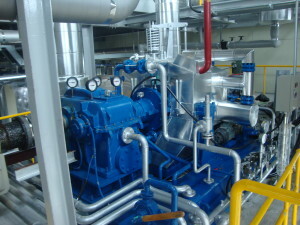 Bleed Points or uncontrolled extraction vents in steam turbines enable steam extraction within a medium pressure range. i.e Bleeding Steam is practically possible at low volume steam demands and when there is a high tolerance for pressure variations. Kessels turbines are built on both bleed and back pressure mechanism. 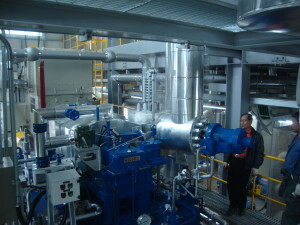 If there is a need for steam extraction when the process steam demand volume is high and tolerance for pressure variations is minimal, steam turbines with one controlled extraction vent can be very effective. These work under intermediate pressure levels.